Business is booming here at the ‘Toad. Christmas gift orders have arrived in spades, and invites to participate in local booths and holiday bazaars. Best of all, two nearby gift shops have asked for my work! As I said, a busy season. My fingers are churning out as quickly as they can around my already full family schedule. ❤ Best to keep things in order of importance, always. Sweet, simple hats fit the bill. I’ve designed a half dozen cute new hats to fill our local shelves and keep precious small heads warm this winter. 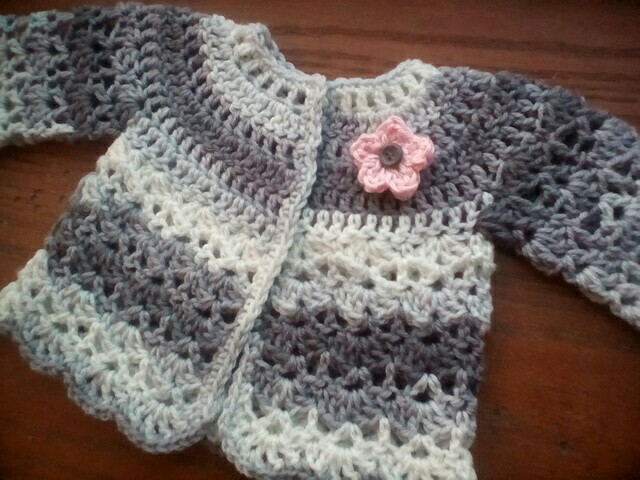 A darling double-crochet with big-button panache and a fpdc, bpdc finish. Phew, it’s been a busy few weeks. And warm! 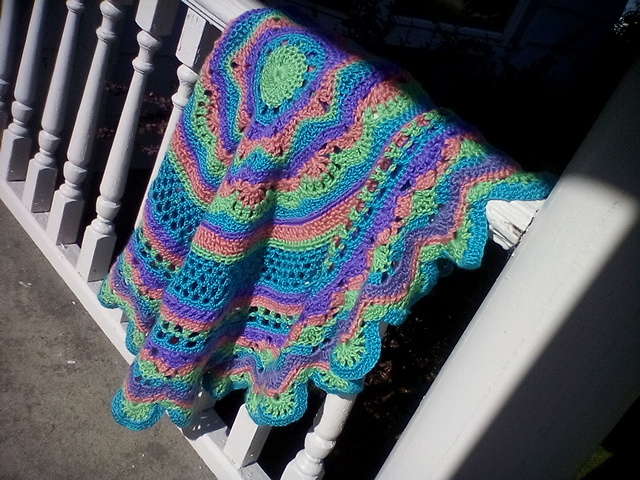 Cooler temperatures have finally returned and I look forward to my upcoming couch-and-yarn time. Happy hooking! Until we meet again! 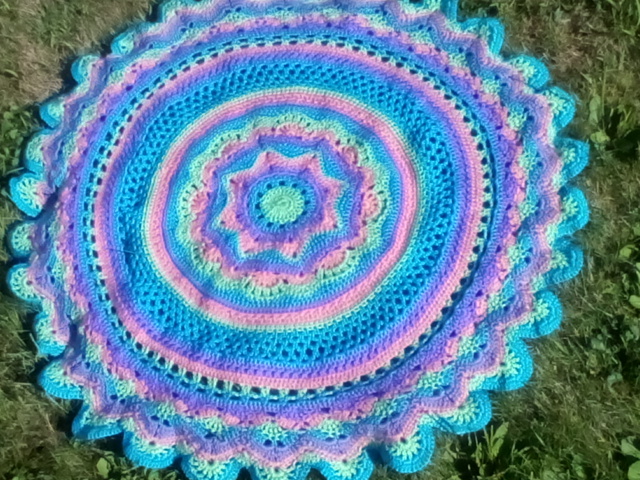 It has been a month of family time, and little crochet! And now we are counting down the days til school begins. I do love fall. But not quite yet. 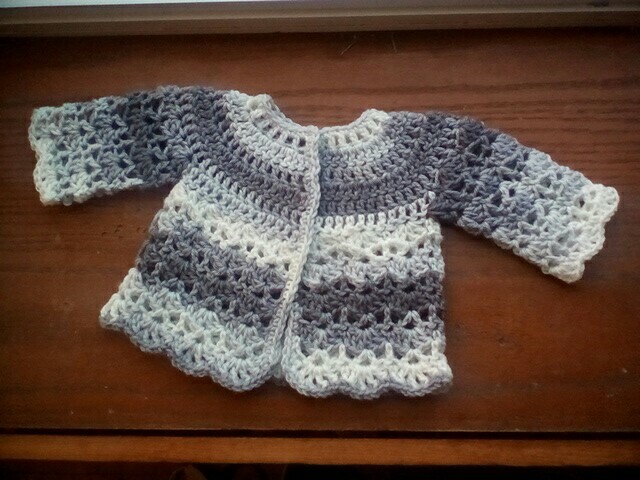 Today’s project share is my own design! I love custom commission work. A lion, she said, and his name would be Leo. I really couldn’t be more pleased with the results! But I did have a false start at the beginning. I thought to chain and length and work around both sides in a bit of a rectangle. 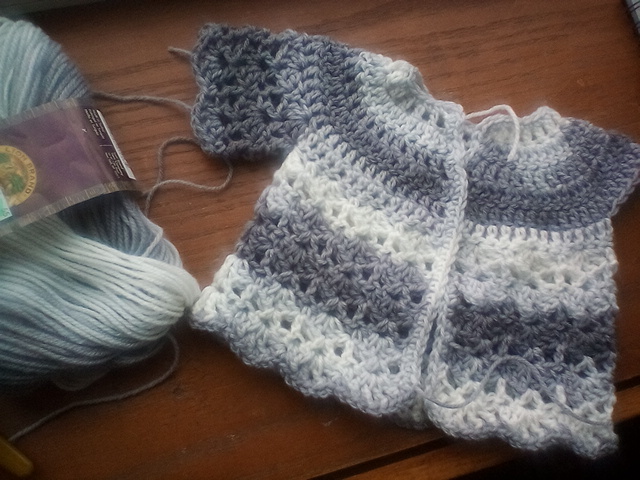 But it didn’t work the way I wanted, so I referred back to the pattern I was thinking of and started again. There. A round bottom, that was better. Then I followed the pattern more closely for arms and legs. He worked up quickly. Sewing them on is always a bit scary: a crooked or backward appendage can mean starting over, ugh! These came out just right on the first try, happy day! Now for the fun part, the MANE. 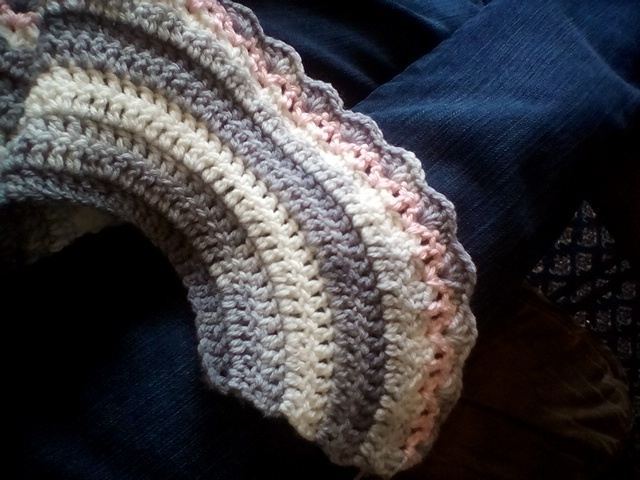 I knew I wanted to try the loop stitch, something I’d seen but hadn’t yet explored. Could I do it? Yes, thanks to YouTube. I found an excellent tutorial and away I went. 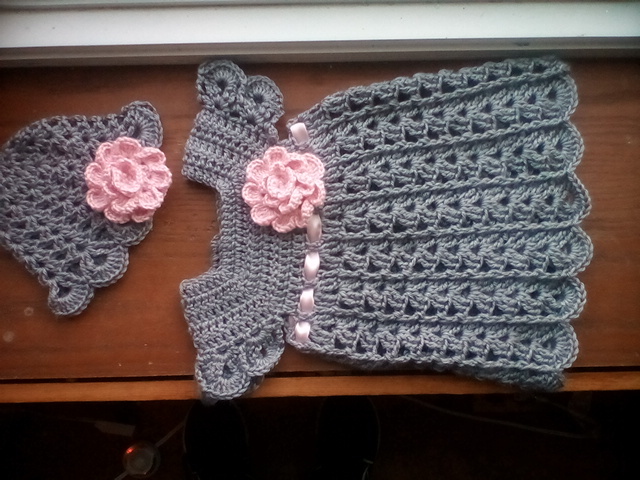 I soon had a darling cap of curls for my little lion. The face is another crucial stage. 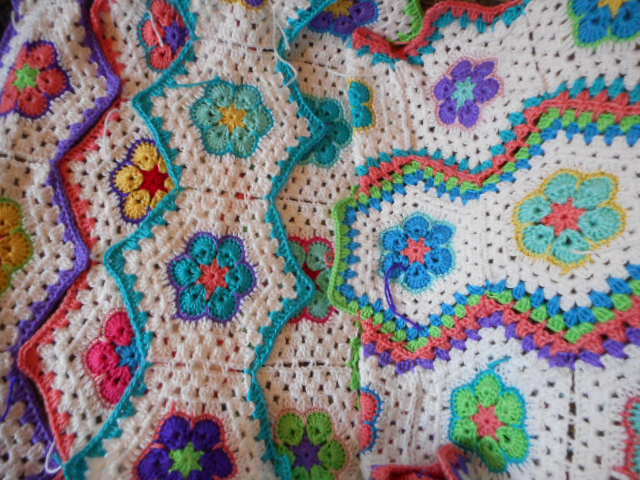 Every stitch affects the end result and expression. 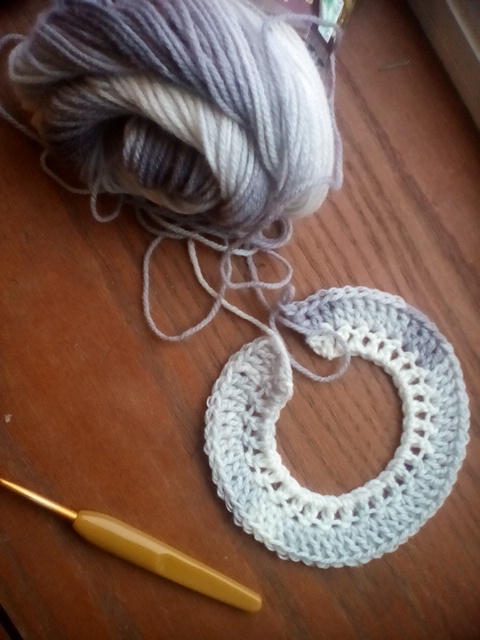 I chose a quiet afternoon and formed my design slowly. Now to manage attaching the head to neck. That one is tricky too! Success! Now where did I put that hair? Here it is! Sweet little lion. I felt a bit as if I had given birth. Such a pleasure to create. The only thing I changed was the head. 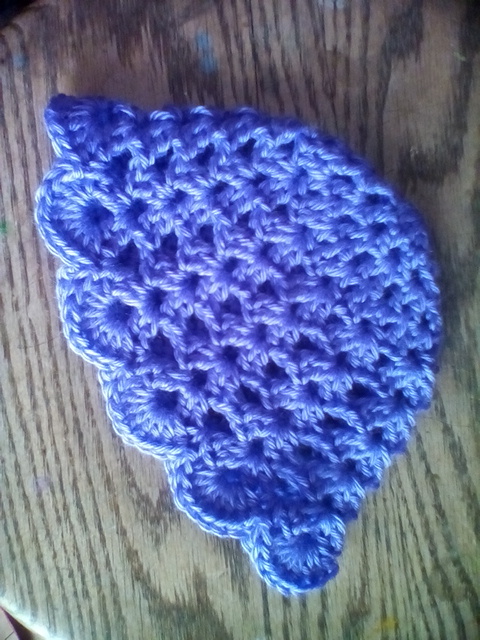 I made another bottom instead of a dragon snout, then added a face, hee hee. And the family was so kind as to send me a picture, once it had been gifted. What a darling boy! 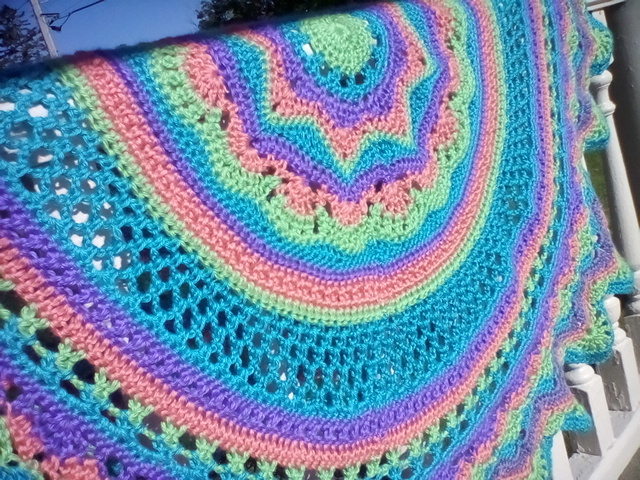 Next week, the matching blanket! It is nice to fall back into routine after a busy, fun-filled summer. Ahhhhhh. Glorious is the word for it. Sultry summer days, long and lazy. Cool a/c and family movie nights. Weeks of camp, and camping, and just plain family time. Lots of it. 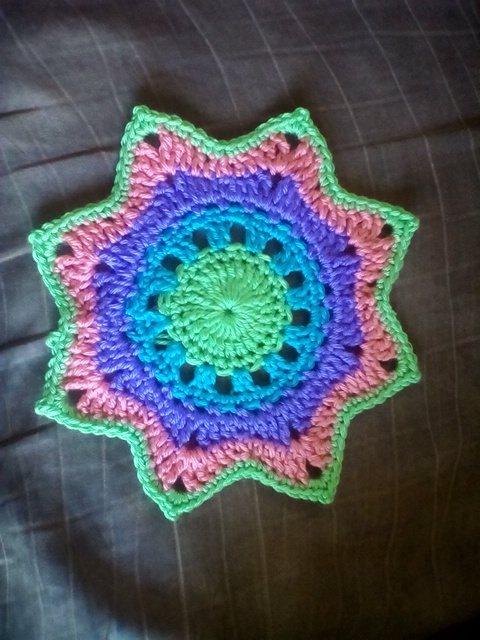 It’s almost too hot to crochet. Only almost! I’ve been meandering around multiple projects and finishing nothing. But it’s nice to have the time to enjoy it! I did finish this little gem today. 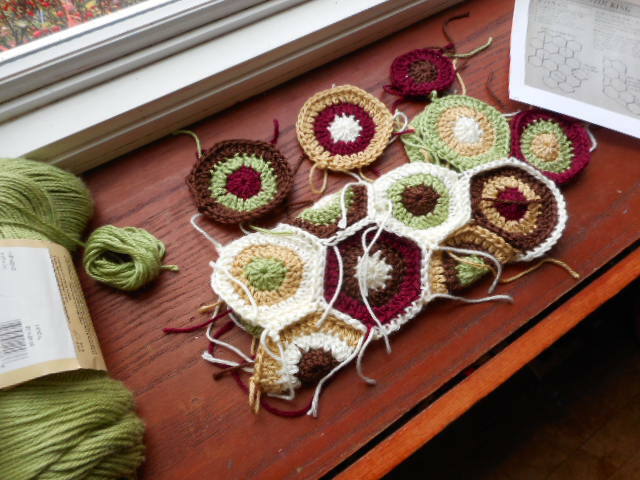 She’s Frank O’Randle’s Mini Rings of Change, a free pattern on Ravelry. The baby nursery colors were lavender and green, lovely! 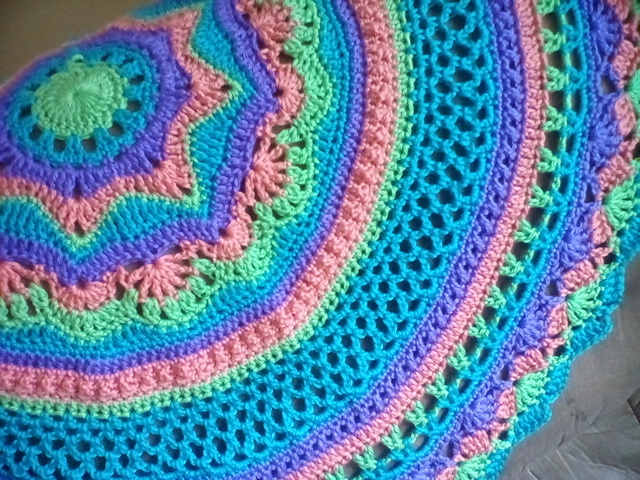 But I couldn’t resist adding the aqua and coral. They are just too trendy right now. 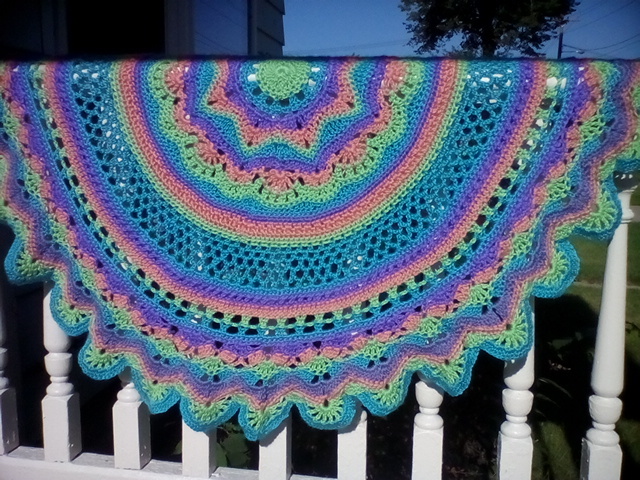 I love this quadruple brights combination. 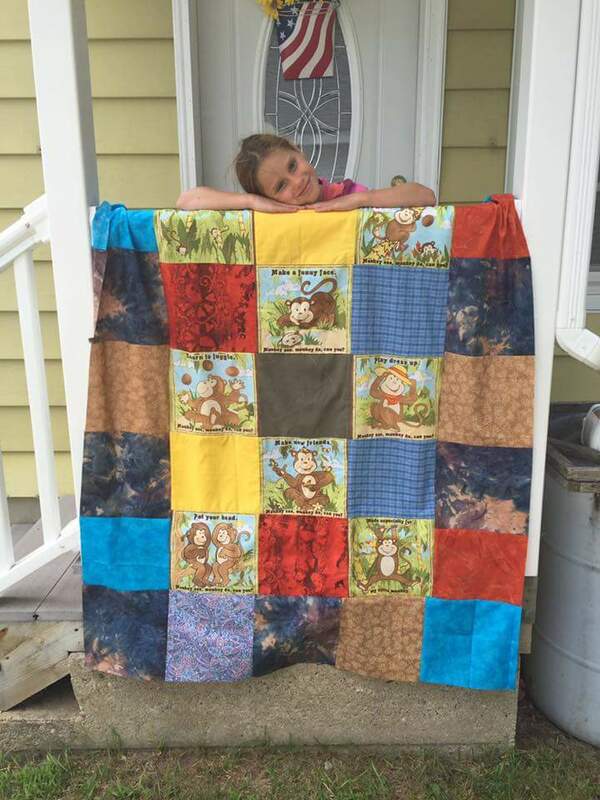 In other fun, my daughter had a special day of sewing with a dear friend, and finished her darling monkey quilt top. Now to find a backing! I hope you are enjoying your summer as much as I am mine. Happy summer! 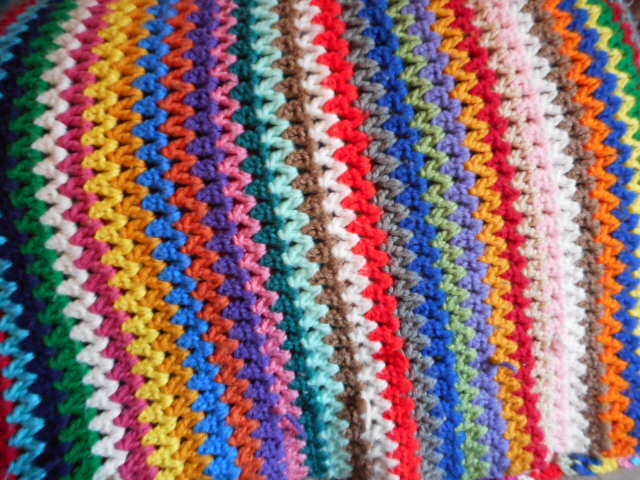 And happy crocheting. I hadn’t a minute to spare for weeks. 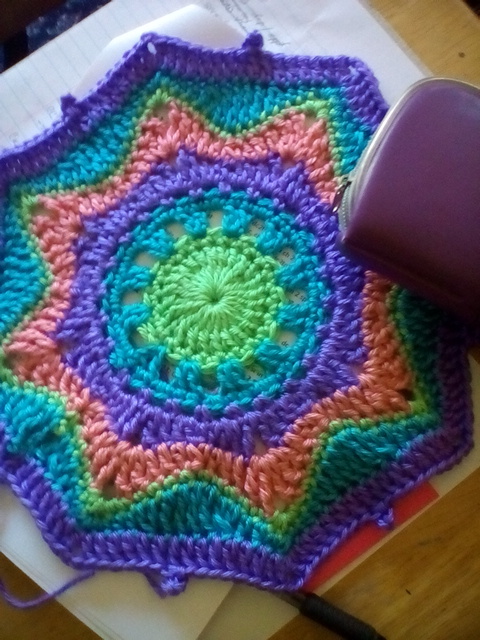 Then, after careful list-making, diligent stick-to-it-ive-ness and just plain hard work, I finished the rest of my must-do’s in time for a few blissful hours of crochet. Such a sweet reward for my efforts. 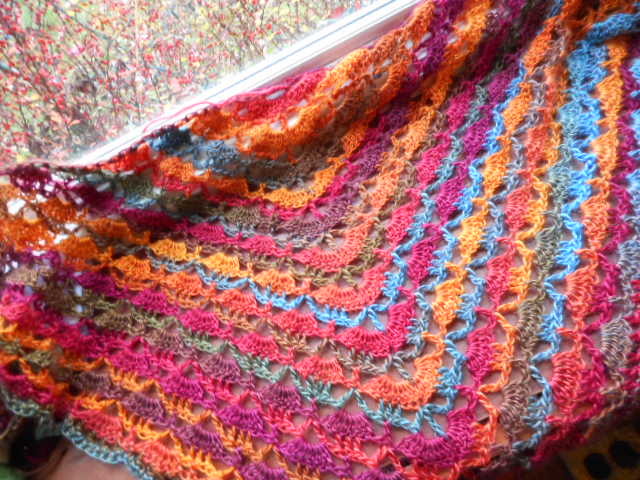 Adding a little pink as I arrived at the shell skirt portion of the cardi. 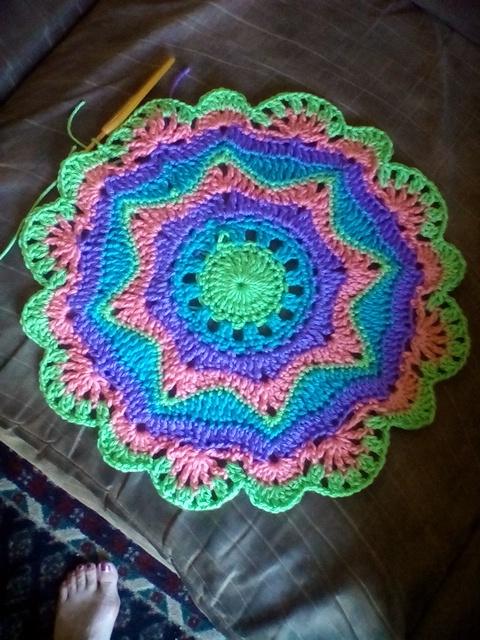 My second attempt, using just 30 stitches to start, and increasing every stitch — it curled so much it looked like a flower! 😀 Definitely too many stitches in that second row! My third attempt looked promising. I will be using it again! 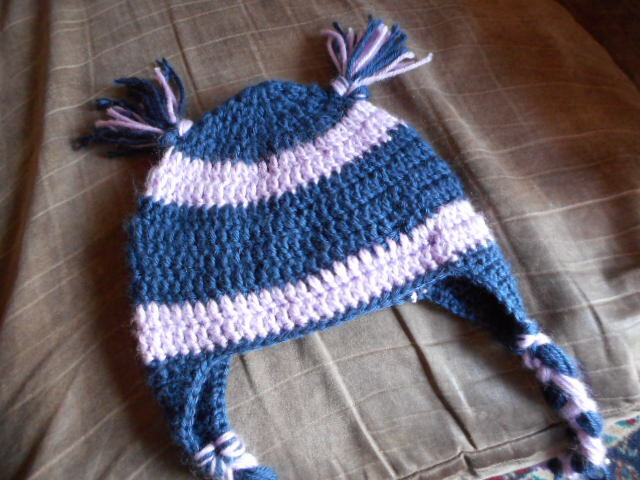 It would make a pretty matching hat, too. 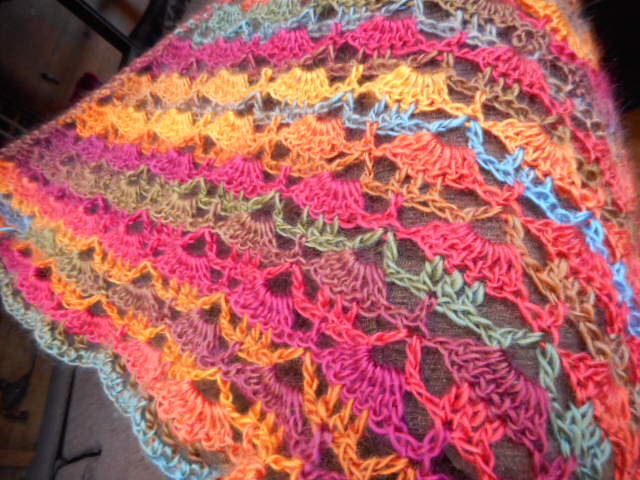 The self-striping color work came out nicely for the skirt, but gave me a time when it came to the sleeves! I ended up cutting after a few rows, switching back and forth between sleeves until they came out even. Success! 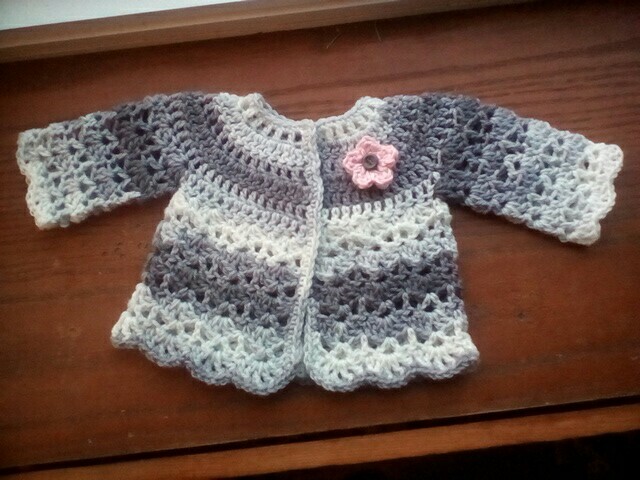 A pretty little flower for a pop of color and I have the perfect sweet baby gift. The larger hook size kept the yarn snuggly soft: 5mm was the magic size for me. a larger size. This one is about 0-3 months. Hello and happy weekend! 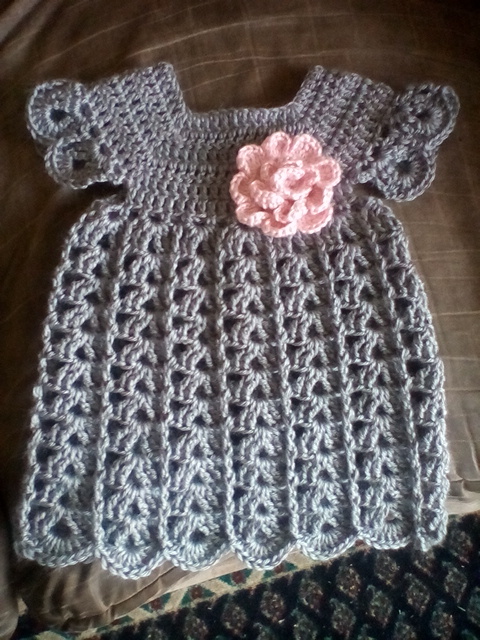 Remember the lovely dress and my promise of the soon–to-be-coming hat pattern to match? 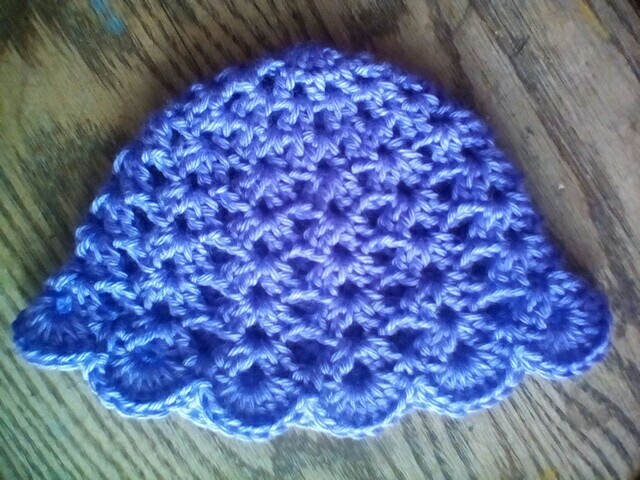 I have that hat pattern for you today! Thankfully it worked up the way I remembered, so I quickly jotted down my notes. Rnd 3: SL St to next CH 1 space. CH 3, DC, CH 1 in CH space, then 2dc, CH 1 in each CH space around. SL St to join at top of CH 3. Rnd 4: SL st to CH 1sp, CH 4 (counts as dc, CH 1 of first v-stitch), then DC again in same St. (V-stitch made). Make DC between 2dc of previous round. *Make v-stitch (DC, CH 1, DC) in next ch 1 space, then DC between 2dc from round 3. Repeat from * around, join with SL St the 3rd CH of beginning CH 4. Rnd 5: SL St to CH 1space, CH 3 for first DC, then DC, CH 2 2dc to make first shell. Make shell (2dc, CH 2, 2dc) in each CH 1 space around. Join with SL St to top of CH 3. Rnd 6-9: repeat round 5. Rnd 10: make 8dc in each CH 2 SP around, SC-ing between each shell from Rnd 9. For flower, see link above. And there you are! 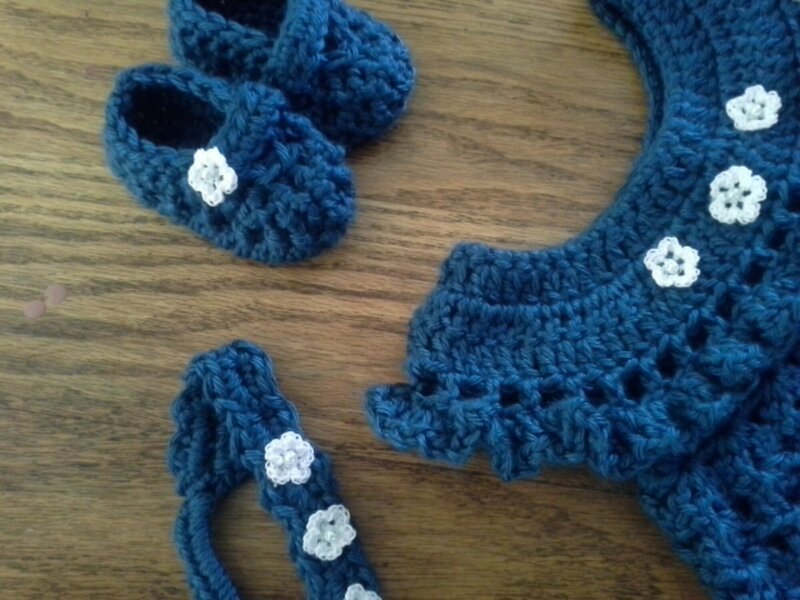 I have a dozen crochet projects to get to, and only an hour or so to spare this evening. I wish you happy hooking! 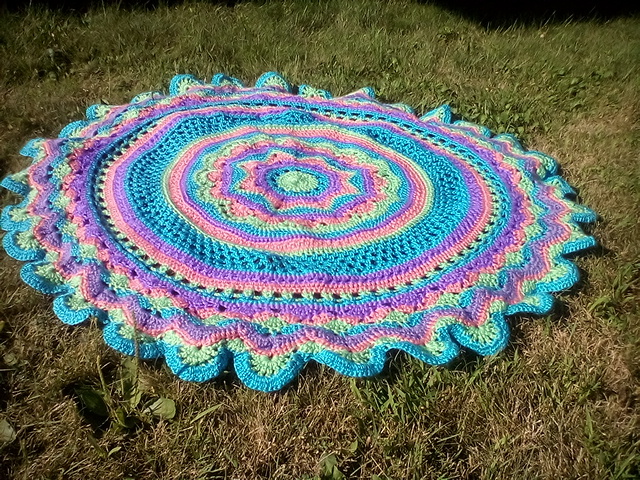 Off to more crochet adventures I go! 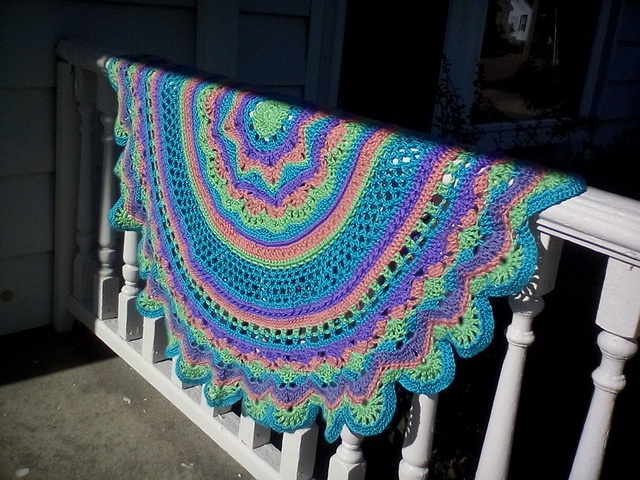 and just perfect for crochet! I have despaired of ever hearing back from the tablet repair shop (the third shop I’ve tried, mind you). That optimistic estimate of two days turned into a call a week later– us to them, not the other way around!– only to hear, “Oh, we haven’t started on it yet, still waiting for a cable,” WHAT?!? So I capitulated to my need to record precious family moments and shelled out the cash for an inexpensive digital model. Sigh of relief. The blog continues. Even more happy news: we got to see our precious twins this week! Well, the children did. 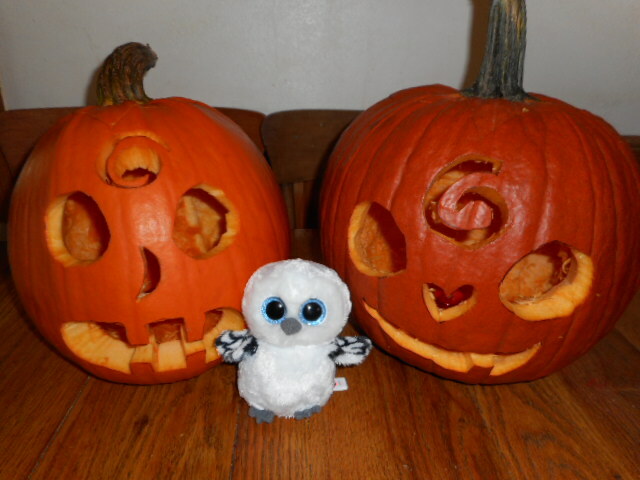 They stopped by to visit while I was at work, but the children were home from school and, oh, happy reunions all around. 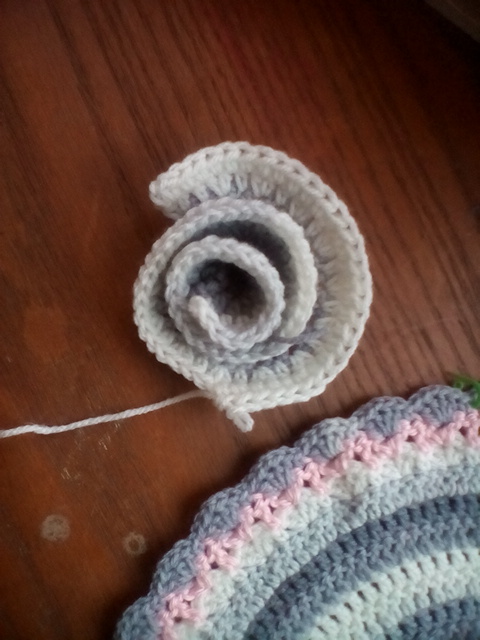 I easily saw where it had come apart, but could I re-crochet the loops or was it a sewing job? I did manage to hook and loop it back together, hurrah! They will be so pleased. Fun with the new camera: I just love this shot I caught of my V-Stitch, playing with settings on my new camera. COLOR. 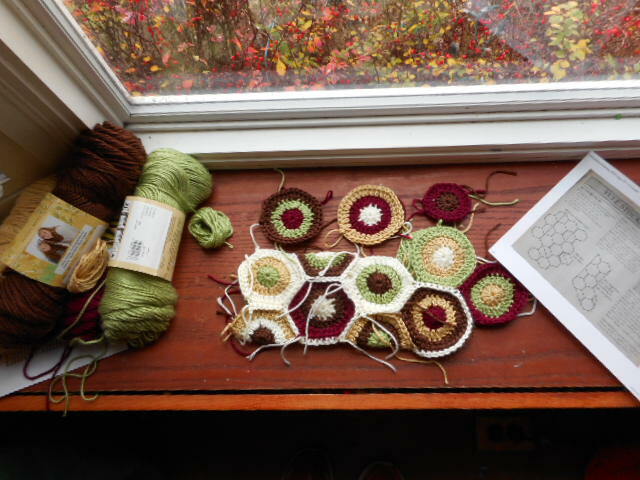 Updates on a few projects hanging around the house…oh, bliss! 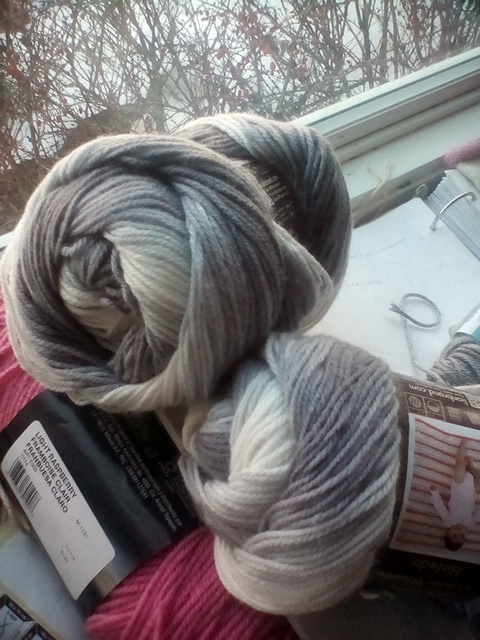 I am in a bit of Unforgettable frenzy…I made a special trip to the city a few weeks ago and bought a dozen skeins of color I can’t get in town: Stained Glass, Echo, Sunrise and Polo. 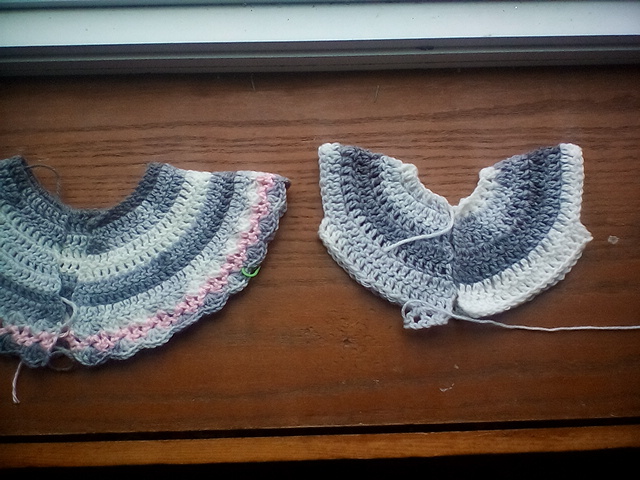 My third daughter picked her colors for these…I have hopes of making one for each family member, but after two evenings of trying to assemble them, my hopes are rather dashed that I will be able to complete even one. I need to google this…the toe just isn’t quite right and the directions on assembly are little or no help. 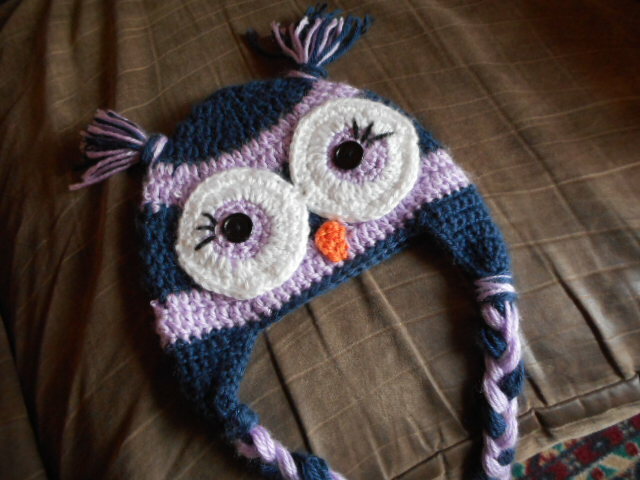 4) And the owl hat, all fixed up! But these turned out rather sweet. 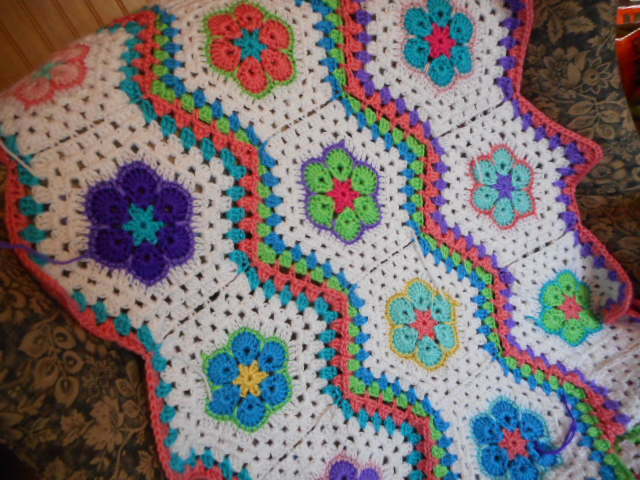 They are loosely based on a pattern I found online that no longer seems to exist. Thankfully I had printed a copy and was able to convert it to my preferred yarn weight and hook size. Note: ch 2 at beg of row does not count as hdc. Double crochet back post: (dcbp) yarn over hook and draw up a loop around post of next st at back of work inserting hook from right to left. 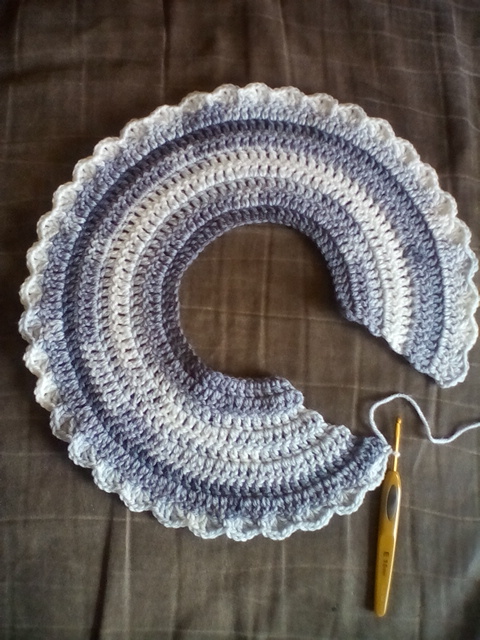 (Yarn over hook and draw through two loops on hook) twice — 1 dcpb made. 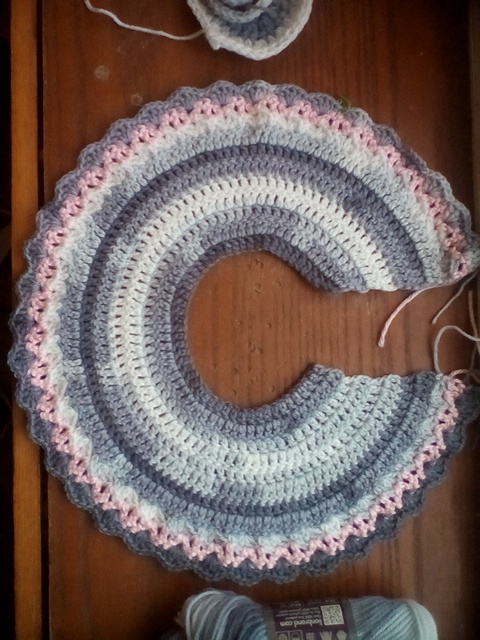 Single crochet 2 together: (sc2tog) *insert hook, yarn over and pull through, repeat from * in next st, keeping loops on hook, yarn over and pull through three loops on hook. Row 1: 2 sc in 2nd ch from hook. 1sc in each of next 3 ch. 2 sc in each of next 2 ch. 1 sc in next ch (place marker on last st). 2 sc in each of next 2 ch. 1 sc in each of next 3 ch. 2 sc in last ch. 19 sc. Turn. Row 2: Ch 1. 2 sc in first sc. 1 sc in each sc to 2 sc before marked sc. 2 sc in each of next 2 sc. 1 sc in marked sc. 2 sc in each of next 2 sc. 1 sc in each sc to last sc. 2 sc in last sc. 25 st. Turn. Row 4: Ch 2. 1 hdc in each sc to end of row. Turn. Row 5: Ch 2. 1 hdc in first st. 1 dcbp in next st. Repeat to end of row. Row 6: Ch 1. Sc in first 8 st. Sc2tog 7 times. Sc in last nine st.
Row 7: Ch 1. Sc in first 8 st. Sc2tog 4 times. Sc to end of row. Finish off, leaving long tail for sewing. Strap: ch 9. Turn. Starting in 2nd ch from hook, hdc to end. 7 hdc. Sew up sole and back of shoe. Sew strap to either side of shoe. 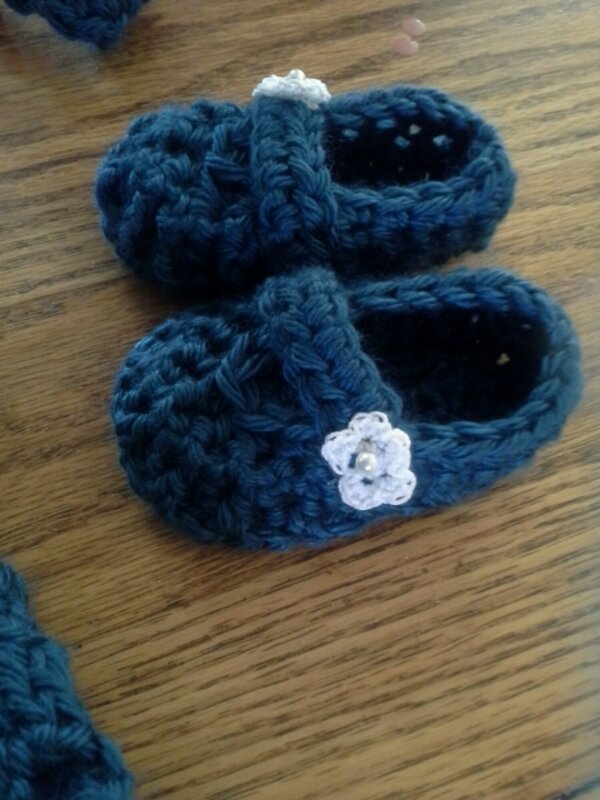 100% washable, super soft and super cute baby shoes! Voila!